That’s a weird tagline for an “s” phone model, isn’t it? Everybody knows that in odd-numbered years, Apple releases only a tweaked model of the previous year’s iPhones. Identical looks, identical price, faster chip, upgraded camera, and the letter s added to the model number. In fact, that’s exactly what the 6s is. It offers some enhancements that will benefit you dozens of times a day, a few that make life a little easier only in particular situations, and one that you may never use at all. The biggest new thing is speed. Apple also says that it has tuned both its Wi-Fi and its cellular (LTE) antennas to make them faster. This, too, is screamingly obvious when you call up Web sites side-by-side on the old and new phones. Who doesn’t like faster Internet? The other feature you’ll probably use often is 3D Touch, which is what Apple calls its new, pressure-sensitive screen. The Phone app sprouts the names of people you’ve called recently. The Camera icon offers shortcut menus like Take Selfie, Record Video, Record Slo-mo, and Take Photo. The Maps app offers Directions Home (a great one), Mark My Location, and Send My Location. Out of the box, most of Apple’s built-in apps sprout the shortcut menus (which Apple calls Quick Actions): Messages, Calendar, Camera, Photos, Clock, Maps, Video, Wallet, Notes, Reminders, iTunes Store, App Store, iBooks, News, Phone, Safari, Mail, Music, FaceTime, Podcasts , Game Center, Voice Memos, Contacts, and Find My Friends. In other words, nearly all of them. Other software companies can add shortcut menus to their own apps, too. At the outset, you’ll probably get tripped up when you try to rearrange icons on your Home screens. To do that, you may recall, you’re supposed to long-press an icon; for most people, that’s too similar to hard-pressing one. At first, you’ll keep getting the shortcut menu when you meant to enter icon-rearranging mode. But once you learn your way around, these shortcut menus save you a lot of waiting, navigating, and fussing. In essence, they let you tell the app what you want to do before you even open it, and that saves you steps. Peeking and popping. Hard to explain, but very cool: If you hard-press something in a list—your email inbox, for example, a link in a text message, or a photo thumbnail—you get a pop-up bubble showing you. When you release your finger, the bubble disappears, and you’re right back where you started. Peeking is, in other words, like the Quick Look feature on the Mac. It lets you see what’s inside a link, icon, or list item without losing your place or changing apps. Email is the killer app here. You can whip through your Inbox, hard-pressing one new message after another— “What’s this one?” “Do I care?”—simply inspecting the first paragraph of each but not actuallyopening any message. Peek and pop work in these iPhone apps: Mail, Messages, Camera, Maps, Calendar, Photos, Safari, Weather, Music, Video, Notes, iBooks, News, and Find My Friends. And, again, app makers can add this feature to their own apps. App switcher. Ordinarily, you switch apps by double-pressing your Home button. But 3D Touch also offers a second way: Swipe in from the left edge of the screen while pressing hard. Interactivity. Peek and pop respond to pressure at only two thresholds. But in fact, 3D Touch detects a continuum of pressure, like a gas pedal. You can see this effect in the Notes app, when you sketch with the pencil tool; it draws darker as you bear down more. App makers can incorporate pressure sensitivity any way they like. For example, in the game Freeblade, pressing harder zooms you into the scene more. No doubt about it: You’ll be hearing a lot more about 3D Touch. It’s a winner. Apple makes much of the iPhone’s new camera. It takes 12-megapixel photos, up from 8. And it can capture 4K video (that is, four times the resolution of high definition). But as Apple itself has pointed out many times, having more megapixels does not mean you take better photos. More megapixels can be useful when you want to crop a wide photo down to a smaller subject and still have enough resolution for a print. Otherwise, more megapixels just means bigger files—and your phone will fill up faster. Now, it’s not a slam to say that photos taken with the 6s don’t look any better than those captured on an iPhone 6; the iPhone 6 camera was already among the best ever put into a phone. But you shouldn’t expect a leap forward in most of your shots. Second, because you probably don’t have anywhere to play the 4K video you’ve captured with this phone! Paradoxically, iPhone itself doesn’t have enough pixels to play 4K video. And don’t think you can beam them to your TV wirelessly using an Apple TV; even the newly announced Apple TV can’t handle 4K programming. But there is one camera enhancement that’s pretty awesome, though: the selfie-screen flash. The new iPhones now offer a “flash” for taking selfies. At the moment you take the shot, the screen lights up to illuminate your face. Better yet: It samples the ambient room light, and adjusts the color of the screen’s “flash” to give your face the best flesh tones. This trick—flashing the screen—is inherited from the Photo Booth app on the Mac. It’s been flashing MacBook screens white to light up your face for years. Of course, the iPhone screen is too tiny to supply much light, even at full brightness. So for the iPhone 6s and 6s Plus, Apple developed a custom chip with a single purpose: To overclock the screen. In selfie situations, the screen blasts at three times its usual full brightness, just for a fraction of a second. It is crazybright. Anyway, it works fantasticallywell. Compared with phones with no front-facing flash, or compared with other phones’ non-color-corrected flashes, the iPhone 6s’s front-facing screen flash is clever and effective. There’s one more thing you’ll appreciate only occasionally—I hope: Apple has hardened up the iPhone. For the first time since the original iPhone came out in 2007, Apple now admits that it buys the glass for its screens from Corning, which developed the famously strong Gorilla Glass. Apple still will not say that it’s using Gorilla Glass, though—because it’s not. According to Apple, its iPhone 6s screens use a formulation that’s superior even to Corning’s current brand-name glass (Gorilla Glass 3). Apple engineers collaborated with Corning to develop a proprietary glass that isn’t available to its rivals. That explains Apple’s claim that the iPhone 6s’s new glass is stronger and more durable than any other phone’s—and that it is not, in fact, Gorilla Glass. I can’t test every possible way there is to drop an iPhone. I did, however, drop my iPhone 6s review unit three times from head height onto a hard lab table (you can see that in the video above, too)—and there’s not a scratch on it. That’s a good sign. The aluminum alloy of the body is also stronger. Apple says it’s now “7000 series aluminum.” That’s got to be better than 6800 series aluminum, or whatever the iPhone had before. The other much-touted feature of the iPhone 6s is something called Live Photos: still photos that, when hard-pressed on the iPhone, play back as three seconds of video, with sound. Well, no. The actual photo you snapped is a full 12-megapixel shot. But the other frames of the Live Photo animation are only screen resolution—not even 1 megapixel per frame. Overall, Apple says, an entire Live Photo (still, video, sound) takes up about twice as much space as a still photo. Behind the scenes, a Live Photo has two elements: a 12-megapixel JPEG still image and a 3-second QuickTime movie. If you decide to proceed with the Live Photo turned on, what happens next? Depends on what kind of device receives it. If it’s running the latest Apple software (iOS 9 or OS X El Capitan), the Live Photo video plays on that gadget, too. Soon, Facebook will accommodate Live Photo playback, too. If it’s a device or software program that doesn’t know about Live Photos—you send it as a text message, for example, or open it in Photoshop—only the JPEG image arrives at the other end. This whole 3-second video business isn’t new. HTC’s version, back in 2013, was called Zoe; Nokia’s, last year, was called Living Images. Pocket cameras like the Nikon One have a dedicated button just for capturing them. Maybe Apple was inspired by the popularity of animated GIFs, or 6-second Vine videos, or 15-second Instagram clips. I’m not exactly sure what you’d use Live Photos for, or how they’re an improvement over a video clip you’ve shortened yourself—but then again, I’m not one of those crazy snake people. 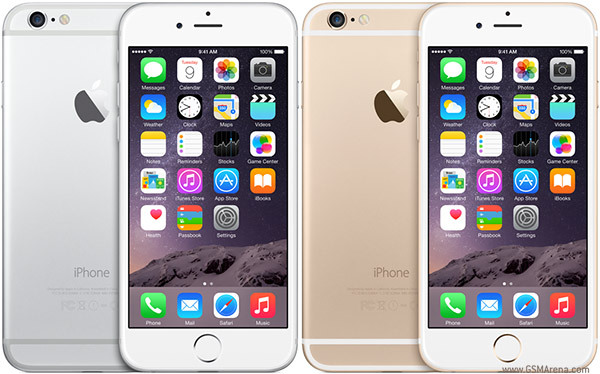 The size and price details for the 6s and 6s Plus are exactly the same as their predecessors. You can get an iPhone 6s with a 4.7-inch screen, or a 6s Plus with a 5.5-inch Jumbotron screen. You can get them with a two-year contract from a cell carrier, of course; the starter price is $200 for a 16-gigabyte iPhone 6s. Add $100 for four times the storage (64 GB), and another $100 for the 6s Plus versions. Those, of course, are subsidized prices; you’re paying off the phone’s actual price over the two years. Nowadays, more people prefer to buy the phone outright, and pay monthly only for cell service. For that, it’s $550 for the iPhone 6s; again, add $100 each for the greater storage and bigger screen. But there’s a third way to do it: Rent the phone. Each cell carrier—and now, Apple itself—is prepared to rent you the phone for a monthly fee ranging from $20 (T-Mobile) to $30 a month (Apple). The only thing that’s changed? The iPhone 6 was already a spectacularly great phone. If you’d have to pay an early-termination fee to get the iPhone 6s, it’s probably not worth upgrading to the 6s. But if you have any older iPhone model, or if you’re paying monthly for one of those “switch phones whenever without penalty” programs, or if you’ve been poised waiting for the right moment to jump into the iPhone parade, then the iPhone 6s might be singing your name. The speed and the 3D Touch features are the meat of the upgrade. The rest is just “s” gravy, but really delicious gravy. Hey wait a minute. So Apple upgraded the screen, the glass, the aluminum, the processor, the camera, the WiFi circuitry, the cellular…Come to think of it, maybe Apple really did change everything—just a bit.